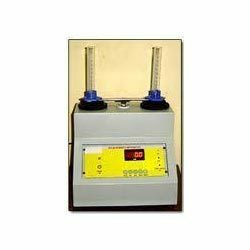 Pioneers in the industry, we offer bulk density apparatus from India. We offer quality Bulk Density Apparatus which is widely used in chemical industry, cosmetic industry and pharmaceutical industry. This apparatus is equipped with a digital display system. It is light in weight and is scientifically designed by our technical experts. It is highly reliable and is manufactured according to the customer’s requirements. It is made available at an economical price. Looking for Bulk Density Apparatus ?